Happy Friday friends! Wow. I feel like I was hit by a truck. It’s *ahem* that time of the month and last night was not a fun night. Then I woke up this morning with the worst headache and cramps. Needless to say, I’m chugging the coffee and it’s probably going to be a no-makeup day! Anyway, my point here isn’t to complain. It’s still a work day and I have a list of things to check off! But I thought it would be fun to mix up this week’s favorites post and focus on my top 5 favorites for when I’m sick, considering my current circumstance. My sweet friend Allie got me this diffuser for Christmas a couple years ago and it has been, hands down, one of the best gifts I’ve ever been given! I love this thing, especially when I’m sick. 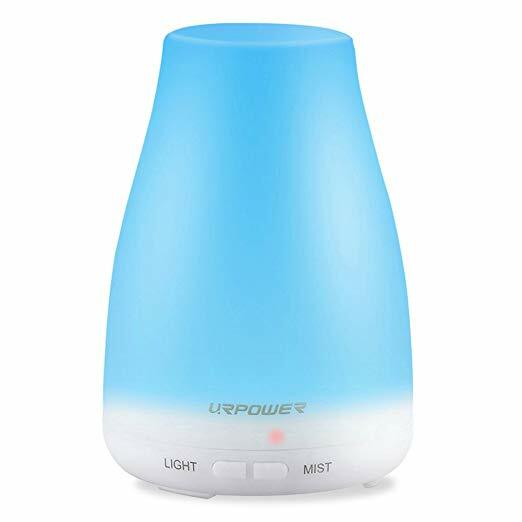 It’s really easy to use, and blows out a periodic mist like a humidifier (so it’s also helpful when you’re stuffed up!). You can add whatever essential oils you like, I love the sleep, stress, and headache scents! I swear by this thing. I feel so much better when I sleep with it on at night or use it during the day when I’m feeling under the weather or even just stressed! Have you heard of the Walmart sherpa pullover yet? If you haven’t, let me enlighten you! Walmart came out with the coziest, fuzziest, and most affordable option of a 1/4 zip sherpa pull over this season and it has been a HIT among fashion lovers like myself. Of course, it’s out of stock online…but both Walmart’s in my area have had FULL stock of every size and color every time I’ve checked. So I still wanted to share because it is so cozy and comfy and AFFORDABLE! The sherpa comes in both kids and women’s sizes. I actually went for the kids XXL (18) size because it was only $12.88! (I’d recommend checking the kid’s size out if you are a similar size to me! XS/S/M in women’s.) But the women’s sizes are still super affordable at just under $20! Anyway, I could go on forever about how comfy this thing is. I especially love it on chilly days and of course, when I’m not feeling my best, like today! BEWARE: It feels like you’re wearing blanket, so be careful not to fall asleep at work/class!!! **I’m linking a couple cozy options below since the Walmart version is out of stock online :( But I would definitely check out the Walmart near you to see if it’s in stock in store! When I’m sick one of my favorite things to do is watch videos and listen to podcasts, especially when I still have stuff to get done. I find that listening to a brain-stimulating video/podcast while doing things like laundry, taking photos, homework, etc. really helps me to both stay awake and focused, especially when I’m feeling sick! I am a huge fan of true-crime and my favorite creator to listen to/watch is hands down Danelle Hallen. Danelle covers missing persons cases in her weekly videos in order to bring awareness to various cases in need, especially ones with little media coverage. She does such a great job explaining the context of the case while remaining very respectful. If you like true-crime content like me, or are looking for something new to stimulate your brain while doing boring tasks, I highly recommend checking out her channel! You guys know me and my coffee! Obviously coffee is an essential for me everyday, but I find myself drinking more than a cup or two on the days I’m feeling under the weather. I just wanted to share a couple new flavors I’ve been loving at home lately! We recently picked up a couple boxes of the brand Cameron’s and I am LOVING them! Plus, they have “eco-friendly 100% compostable pods” so I don’t feel as bad using these as opposed to regular K-Cups. I have the flavors Cinnamon Sugar Cookie and Chocolate Brownie, they are both SO good! ***Pro Tip: Since these “K-Cups” aren’t actually Keurig brand they may give you an error message if you try to use them in your Keurig brand coffee maker. I’ve found that with most non-Keurig brand coffees if you click the “Hot Chocolate” button when brewing you won’t get the error and the coffee will brew perfectly fine! And last but very not least! My song of the week. This one’s an oldie but a goodie. I’ve been listening to this whole album on repeat lately, it’s super relaxing and encouraging. I love this song especially! I hope you have the best day and remember how beautiful you are!